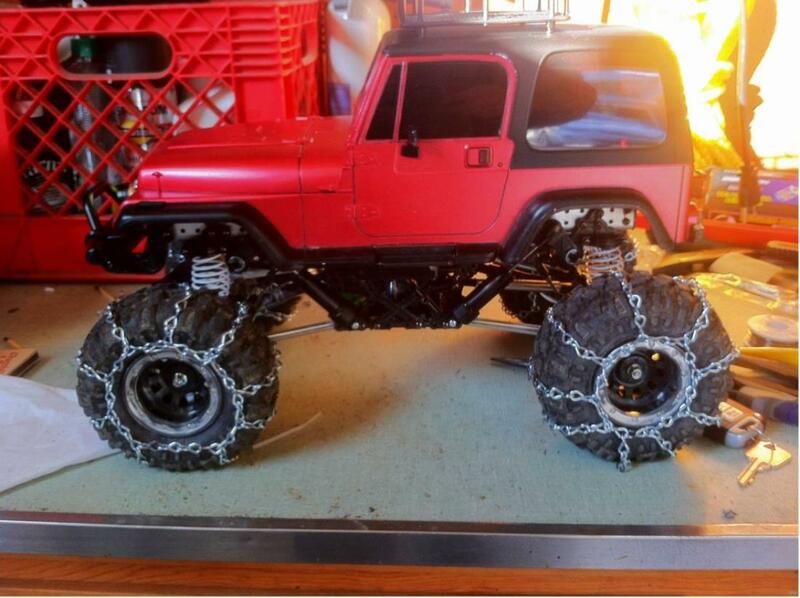 I wanted to share a couple of photos of the superbly constructed snow chains I have fitted to my CR-01 Jeep. While anyone with a bit of time could make these, I bought them from ebay member Steinman2003 for a great price, custom made for my tires. They were slightly large when they arrived so I removed a link here and there. 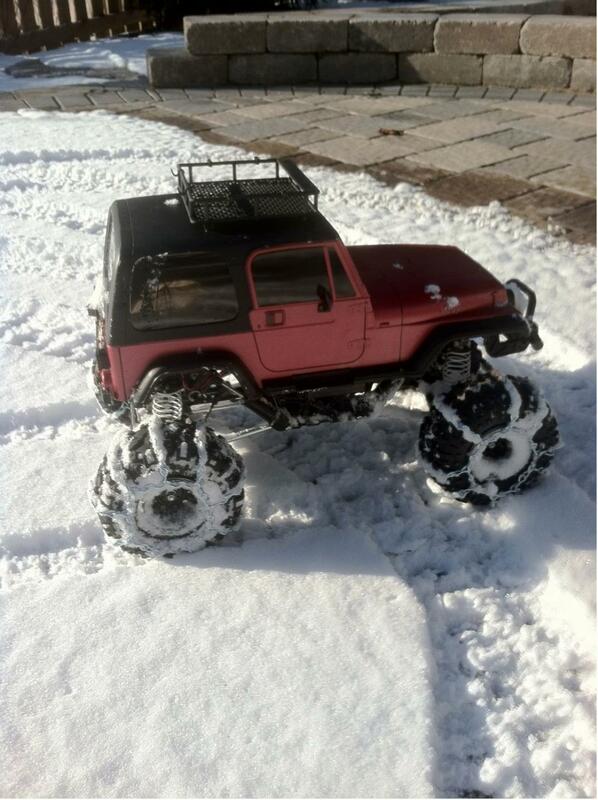 I’ve been trying to upload a move of the Jeep in the snow, but having some upload issues. still havent fitted the light bar and LEDs! the snow was deeper elsewhere... honest! Wooo !! very cool. I remember that page of the guide book.. I thought these were a great buy at $33 shipped. Would take me ages to build and time is a valuable commodity when you have a 3 year old kid!! I have that guide book and its wicked!!! The page 18 is a blast from the past! its the group shot at the bottom of that page! thats pure heaven to me! 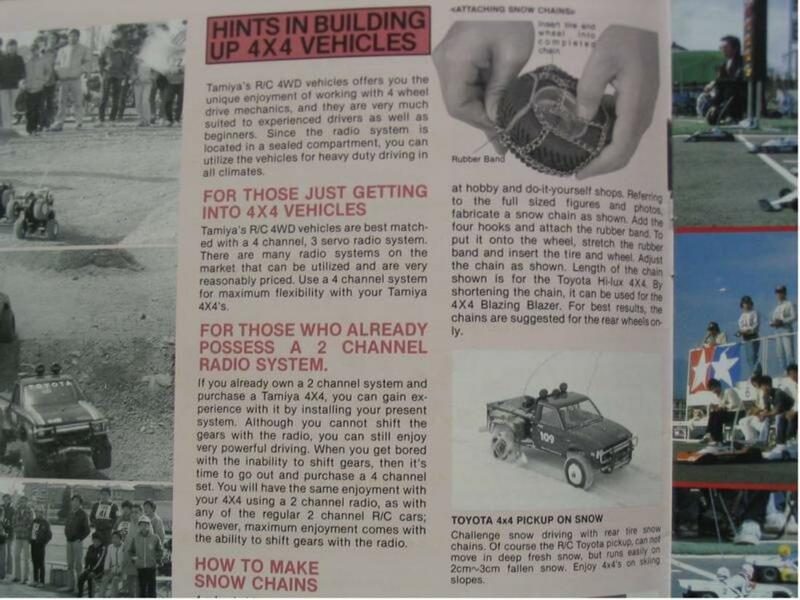 That shot of the Toyota 4x4 being pulled by 14 R/C Toyota hilux's is one that as a kid i was really blown away with!!! 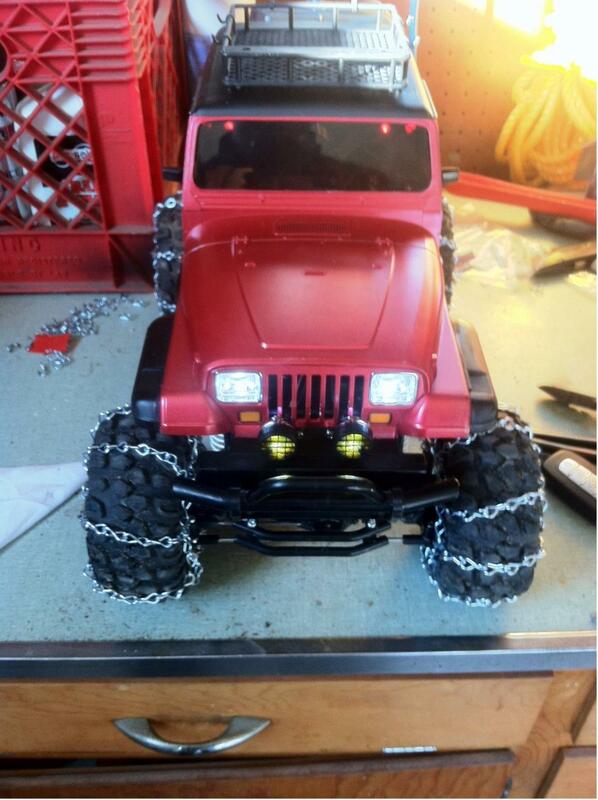 And alway liked the chain idea! This looks the business bud!